A tangy glaze and a slightly crisp crust on this new recipe are what makes me think I’ll definitely make it again. Plus everyone else who ate it with afternoon tea took a piece home without being forced – a sure sign of a great cake! It’s not a fancy cake, but for tea or coffee or a casual dessert cake it works great. The recipe comes from All Cakes Considered by Melissa Gray, from which I have gotten many amazing recipes over the last few years. I had no key limes, so I used regular ones; lemons would work great too. 1. Prepare an 8-inch square or round pan by cutting a piece of parchment paper to fit into the bottom. 3. Cream the butter, then gradually beat in the sugar. One by one, beat in the eggs. 4. Combine the flour, baking powder and salt and whisk together. 5. Add half of the dry ingredients, then half the cream. Repeat with the flour and cream, then beat for about 2 minutes. 6. Add the lime juice and zest, and beat for about 2 more minutes. 7. Pour the batter into the pan and bake for 20 minutes. 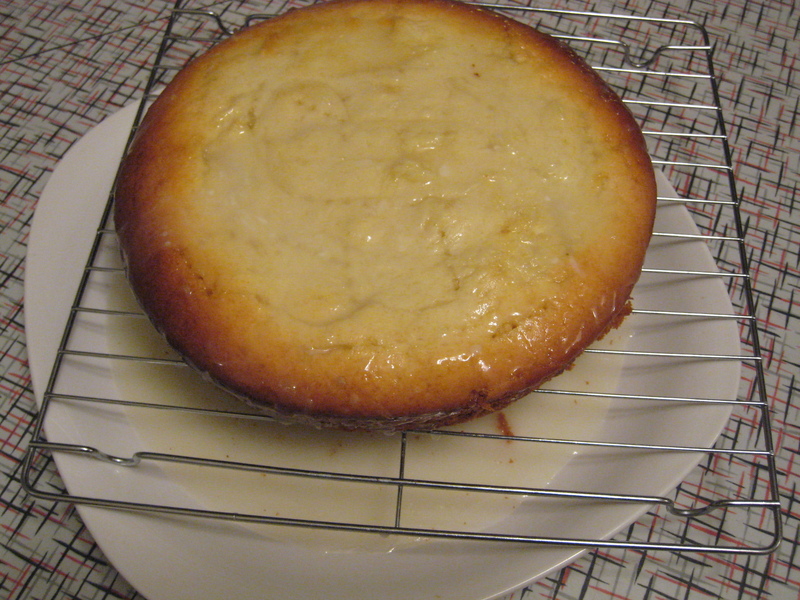 Cover the cake with foil to avoid too much browning, and bake for 20 more minutes. Insert a toothpick to see of the cake is done – I needed about 5 more minutes for mine. 8. Let the cake sit in the pan to cool for about 10 minutes. Then run a knife around the edge and invert the cake onto a cooling rack. Invert one more time onto another rack so it is right-side-up. 9. Combine the icing sugar and lime juice. Poke holes in the cake with a toothpick or skewer. 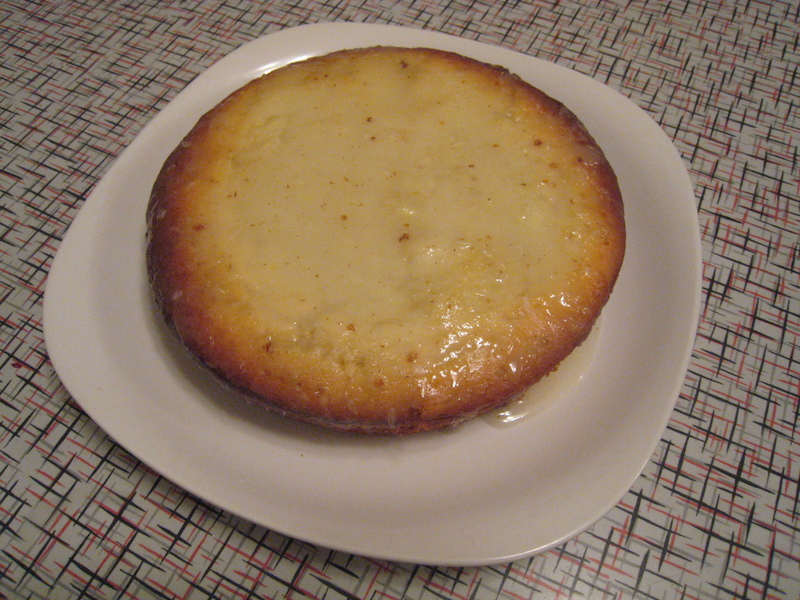 Place the cooling rack on top of a plate to catch the drippings, and drizzle the glaze on top. Use the glaze that drips onto the plate as well, as more will absorb if you pour it on again. 10. Allow the cake to cool (I ate it slightly warm and it was so good). You can sprinkle a little icing sugar on top so it’s pretty when you serve it, if you’ve had time to let it cool. Enjoy! Oh yum. I love key lime but have only ever had it in pie! This looks fabulous.